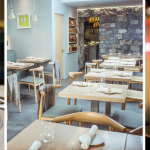 Multi-award-winning Greenes Restaurant in Cork city, have launched an extra special five course lunch tasting menu especially for Father’s Day – the perfect way to say Happy Father’s Day on Sunday 17th June! The exclusive Father’s Day menu designed by award-winning chef Bryan McCarthy is innovative, modern and devoted to place. Bryan recognises the uniqueness and quality of the outstanding ingredients that are available in Cork and this is reflected in his five course tasting menu. Dishes include Pork Belly with Black Pudding, Apple, Kohlrabi, Sorrel & Teeling Whiskey Caramel, Monkfish with Sea Vegetables, Smoked Sausage, Dashi Cream, & Sea Lettuce, Skeaghanore Duck with Carrot, Summer Greens, Red wine Jus and a Woodruff Set Cream Pudding with Blackcurrant, White Chocolate, Macadamia Nut. The cost of the Father’s Day lunch tasting menu at Greenes Restaurant is €40 euro per person and is available on Sunday 17th June only from 12.30pm to 2.15pm. 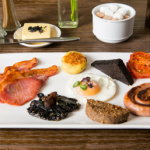 And, for those looking to make the most of a Father’s Day trip to Cork, Greenes Restaurant have teamed up with their boutique property, Hotel Isaacs, to run a special Father’s Day promotion. Diners can enjoy the five course lunch tasting menu at Greenes Restaurant plus one night’s accommodation on Father’s Day (Sunday 17th June) in a Deluxe Room at Hotel Isaacs with Bed & Breakfast the following morning for €259 per couple sharing. Booking for the five course lunch tasting menu only is through the website www.greenesrestaurant.com.